The Langtang National Park in Rasuwa, Northern Nepal, is the oldest national park of Nepal, founded in 1976, and hosts over 18,000 domestic and international trekkers every year. Langtang is the third most popular national park in Nepal, after Everest (Sagarmartha) and Annapurna (ACAP). The Langtang Valley is home to 101 trekking lodges, who host over 80 trekkers every day of the season (Sept-Nov, Feb-Apr). Every season, up to 200,000 plastic bottles are consumed - and left - in Langtang. There are an estimated 5 million bottles in the valley from historic treks. This totals more than 125 T of waste. The recycling and up-cycling processes extract value from this waste, create local employment, and promote local reinvestment opportunities. Recycling is currently conducted in parntership with Himalayan Plastic, Pokhara. With over 200 tonnes of plastic bottle (PET) waste annually in the National Parks of Nepal, PSD Nepal is forming partnerships with local communities to promote recycling. In Langtang National Park, CDO, LNP and local elder KGLS (Kyangen Gumpa Langtang Society) partnerships are running the clearing, collection, and recycling logic. Presently, over 40,000 bottles are recycled every month from Langtang (c. 1 tonne PET/month, 12t/yr). 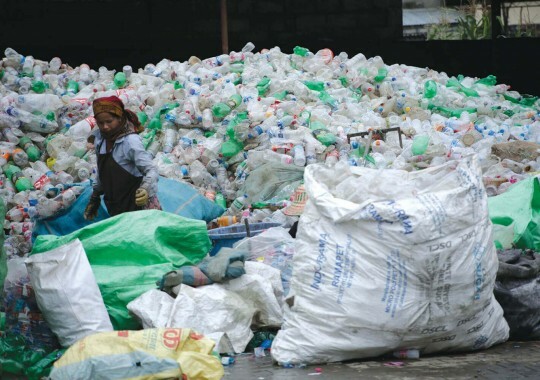 Read more at the link about the Himalayan Plastic recycling facility, who operate a PET re-purposing plant in Pokhara. Watch the PSD project in action. Upcycling is facilitated by a technical team from NAST, headed up by Dr Rabindra Dhakal, previous senior scientific advisor to the Prime Minister of Nepal. NAST promote creative re-purposing of waste materials as well as up-cycling, with educational opportunities to improve educational awareness. NAST also utilise a pyrolysis machine to convert plastic waste (mostly plastic bags, wrappers, styrofoam) into RDF (reduced diesel fuel). 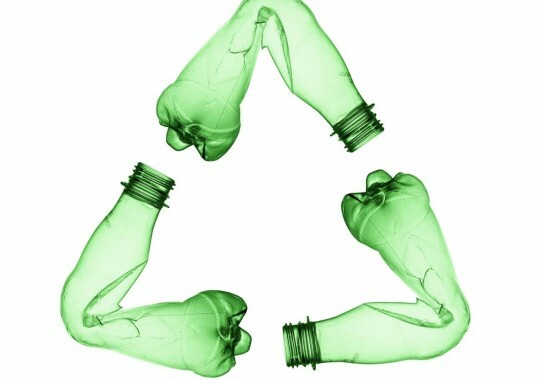 The upcycling process is highly efficient, converting 1kg of plastic waste into 0.8-0.9L of RD fuel for use. Upcycling is defined as the process of transforming by-products, waste materials, useless, or unwanted products into new materials or products of better quality or environmental value. Upcycling is the opposite of downcycling, which is the other half of the recycling process. 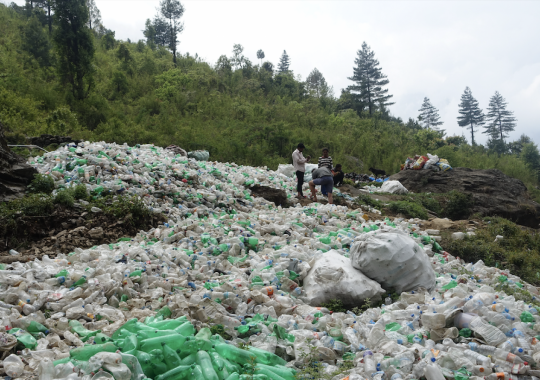 By the year 2025, 400 tonnes of PET plastic waste will need to be recycled in the National Parks of Nepal. PSD Nepal are aiming to accompany the national Visit Nepal 2020 tourist movement with a Vision Nepal 2025 on recycling and waste re-purposing, to keep the Himalaya clean. PSD Nepal are designing this project with a strong social enterprise bent. 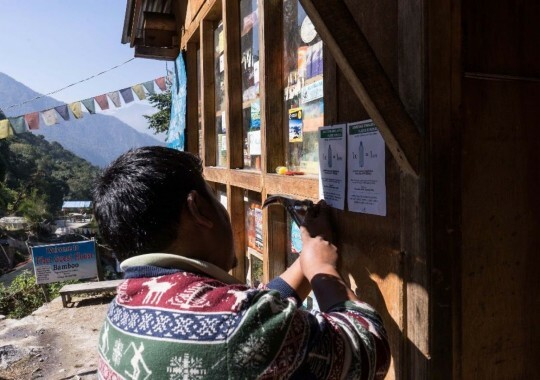 Plastic bottles, tourist waste, and poor recycling facilities currently impinge on the environmental wellbeing of the Himalayan National Parks. PSD works with local partners to provide employment and local involvement in the clearing and recycling logistic. PSD Nepal also sends overseas partners and offers eco projects in the National Parks to support such projects. Get in touch! 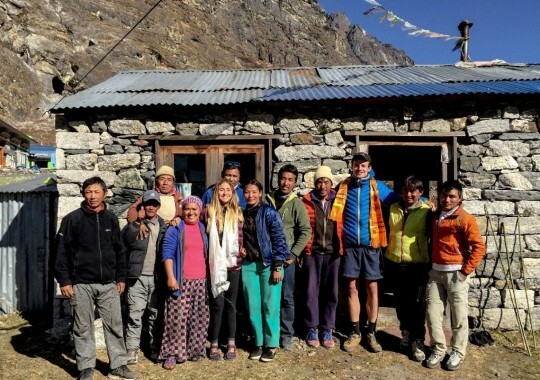 The Nepali Times featured PSD Plastics in national news, with a spotlight focus on Langtang National Park and the social enterprise work of PSD in creating both local employment and income generation, as well as waste clearing and environmental stewardship. 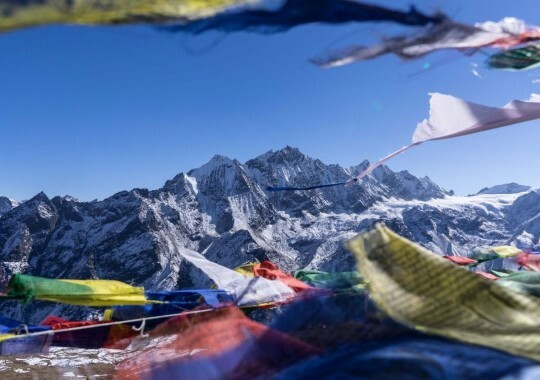 "Langtang Valley is just beginning to recover from the earthquake three years ago, but another disaster looms large here in the high Himalaya: The Plastic Crisis. As the region rebuilds, tourists are flocking back to this stunningly scenic region, 7-hour drive north of Kathmandu. Every year, about 15,000 trekkers visit the Langtang National Park, using up and leaving behind 200,000 plastic water bottles. A conservative estimate puts the number of discarded bottles in Langtang Valley alone at 5 million."